Protect your boat. 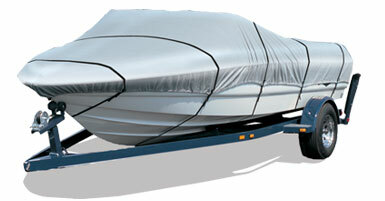 Enter here to win a new semi-custom fit boat cover! We always share contests for boat stuff when we hear about them, and this one couldn't be more timely. Of course, you probably wish you had one of these covers this time last week as Irene made her way towards your home, but don't worry; there will be more hurricanes and tropical storms and there will be more falling leaves and acid rain, more uninvited bugs and animals, and even, eventually, snow... and more of everything else that leaves a mess on your boat when you leave it uncovered. 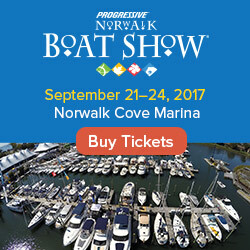 The contest is sponsored by Empire Covers, which specializes in covers for small and mid-sized boats and PWC's. 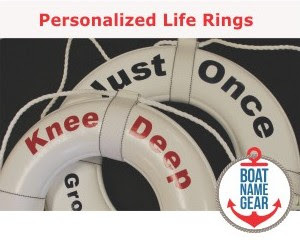 Their boat covers are semi-custom fit, waterproof, and made to last. They're also a great value.You can visit their site to buy one anytime, or if you enter this week, you have a chance to win one! Runners up can win a gift certificate to Boat Name Gear for personalized shirts, hats and more. As always, entering is easy - and you know what they say, you can't win if you don't enter. Simply follow the link to the contest entry form, answer a couple of questions, and submit your entry. The contest ends next Thursday, 9/8/11, so enter right away. Good luck boaters!